It's the finishing touches that people remember. 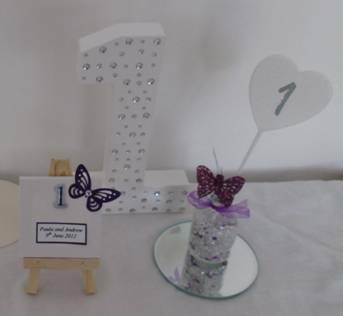 All table numbers can be personalised with your names and date. Any colour and design available as we make to order. 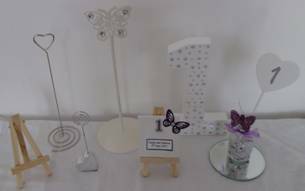 Take a look at our Table number holders , Organza Swags, Bay trees, Table confetti, Place names, Seating Plans , Menus and Favours to complete your look.